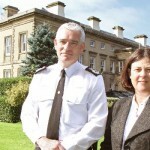 an “In My View” article by NIGEL WARD, reporting on an exchange with North Yorkshire Police & Crime Commissioner Julia MULLIGAN (Con.) 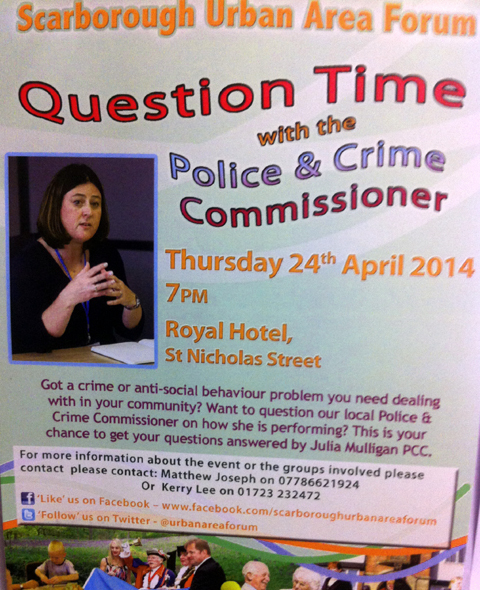 at the Royal Hotel in Scarborough on Thursday 24th April 2014. It was with great expectations that I attended Julia MULLIGAN’s ‘Question Time’ session at a meeting of the Scarborough Urban Area Forum last week. It was six months to the day since I last found an opportunity to engage with her – and even a week is a long time in politics. Following a warm introduction by the Chair, Malcolm SHORT, Julia launched into a cheerful recital of crime statistics, anti-social behaviour, recruitment, new technologies, funding opportunities and eastern-European shop-lifting gangs. But she clearly knew quite well, as did we all, that such was not the fare that her audience had come to savour. Not a natural public speaker, Julia’s composure was clearly ruffled by what she surely knew would be a fraught hour of damage limitation, with some highly public North Yorkshire Police (NYP) embarrassments uncomfortably fresh in the public perception; the MAXWELL/BRIGGS Personal Development Fund scandal; the controversial new Police Headquarters; the Chief Constable’s referral of NYP’s SAVILE/JACONELLI failures to the IPCC – to name just three. She was not expecting a jolly time. 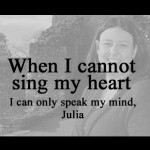 Julia has a mild speech impediment – a stutter – which bears an unfortunate resemblance to the classic sound of a Geiger-counter, accelerating and waxing more insistent by its closing proximity to any one of NYP’s more toxic issues. And there are many. But paedophilia is clearly the most toxic of all. When my opportunity to raise a question arrived, I was moved to give her some respite following a measured and well-presented question from a lady of professional bearing regarding complaints against a headmaster whose particular foibles we were never allowed to hear (swiftly swept aside), and a gruelling nightmare of allegations against Scarborough Police and associates, past and present, by a gentleman who had apparently been beaten quite literally within an inch of his life, only to be arrested and further abused whilst in custody (also swept aside with no substantive response). I will return in due course to these two cases. Consider for a moment the gravity of that remark: Not fit for purpose. 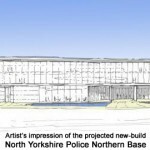 Julia was referring to the Professional Standards Directorate of the North Yorkshire Police – the department dealing with complaints regarding Police misconduct. “Not fit for purpose”, declared Julia. And she should know. I wonder, in passing, how much this vital organ of policing within a democracy is leeching from the public purse each year? Though even that telling question ignores the real cost – to the victims; the injustices, the frustration, the loss of faith in the very service most relied upon for integrity, fairness and support. But we have it straight from the horse’s mouth: the NYP complaints procedure is “NOT FIT FOR PURPOSE”. In fact, the NYP-PSD has no reason to exist. Worse; it is counter-productive. It is nothing more than a cover-up apparatus. Nigel: “Good evening, Julia. I am aware – very much so – that I need to tread on egg-shells this evening and I will attempt not to break any. My name is Nigel. I am with the Real Whitby Magazine. I am an investigative-journalist, on an amateur basis. I know that I cannot talk about operational matters. But I think that I would like to mention to you that, earlier in the week, I spent some time with Officers from Operation Hibiscus, which, as you know, is dealing with allegations against Jimmy SAVILE, Peter JACONELLI and some other names that I prefer not to mention. Following that meeting, I had a very nice email from the Police – thanking me for the co-operation that I had given, and promising me that they would up-date me on the developments of that. 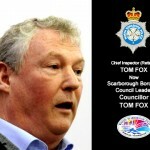 I feel now that the time has come for us to have a rapprochement between Real Whitby and the North Yorkshire Police. Our history has contained a certain degree of unpleasantness, and I would like to put that behind us. Other than that rather grudging “Thank you very much”, I have no idea what she meant – though I assume she must have meant something. But let us go on. And that was more or less it. 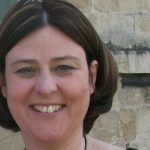 Julia spoke briefly about Chief Constable Dave JONES’ referral to the IPCC of NYP’s various abortive investigations of the SAVILE/JACONELLI allegations – apropos of which she informed us that they presently continue to await the decision of the IPCC. Let us pause for thought. 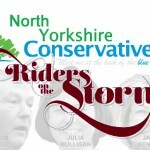 The North Yorkshire Police & Crime Commissioner, Julia MULLIGAN, is “slightly concerned” that the investigation into the repeated systemic failures of North Yorkshire Police in its various abortive investigations into paedophilia allegations against Jimmy SAVILE, Peter JACONELLI and ‘associates’ over five decades will not be deemed “serious enough” for an independent investigation by the Independent Police Complaints Commission (or some external Force), but that the IPCC may “actually pass it back to the North Yorkshire Police” – where, she has just told us, the Professional Standards Directorate is NOT FIT FOR PURPOSE. What? Let the incompetent (or worse) investigate themselves? Has the world gone mad? Some of us are more than “slightly concerned”. Some of us are outraged. Detective Superintendent Steve SMITH, the Officer in charge of Operation Hibiscus, has asked me to appeal to victims/witnesses known to Real Whitby who have thus far preferred not to present their evidence to NYP to reconsider; I have done so. I hope they will respond – but I can appreciate their reticence, and it will come as no surprise should they choose to await the outcome of the IPCC deliberations. They cannot be faulted for mistrusting the people that Julia describes as “not fit for purpose”. 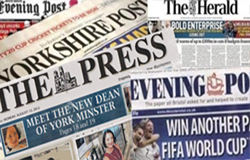 Of no less concern to me are the allegations that NYP Officers have effectively covered up attempts made by some of the victims/witnesses to pursue charges against several high-profile Scarborough ‘celebrities’ in the past. (I know of a prominent SBC Councillor whose identity is presently the subject of allegations of sexual abuse – and that Councillor’s identity is presently protected by a court order). 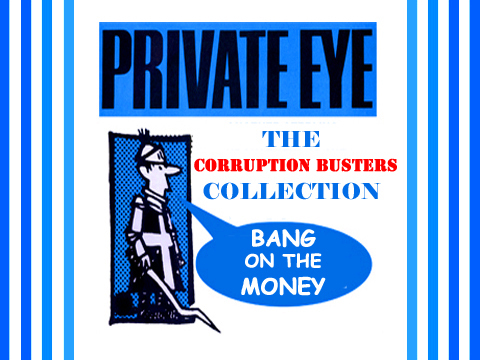 Elsewhere in the country, Police are presently examining whether there is evidence of a criminal cover-up over claims of sexual abuse by the late Sir Cyril SMITH MP and associates, also allegedly covered up by individuals at Rochdale Council. 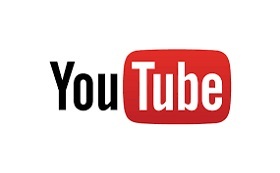 Victims/witnesses featured in the BBC “Inside Out” documentary on 10th February 2014 have also made allegations that complaints regarding Scarborough’s former Mayor, Peter JACONELLI, were covered up by Scarborough Borough Council. 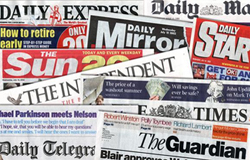 Some of the victims/witnesses take the view that to cover up allegations of sexual abuse is to condone sexual abuse. More than that, it is tantamount to aiding and abetting serial perpetrators – perhaps perverting the course of justice. Little wonder that many victims/witnesses have no faith in a system that they , like Julia MULLIGAN, regard as most definitely not fit for purpose. And, in my view, relying upon the NYP Professional Standards Directorate (NYPSD) is especially ludicrous when one recalls that retired NYP Officers frequently join NYP-PSD as a second career. Others move on to the IPCC. 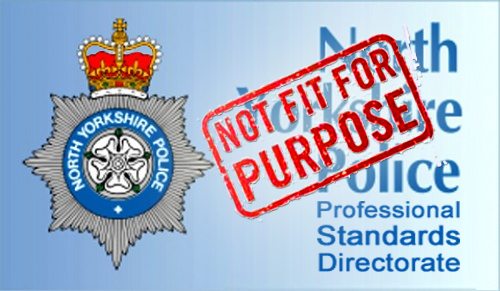 This goes beyond the risk that they may be called upon to investigate former colleagues; it runs the even greater and far more untenable risk that NYP-PSD personnel may actually be investigating acts or omissions in which they themselves personally played a part. 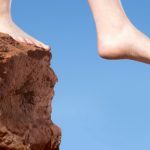 Is that the route to truth, to accountability and to justice? Now there is a question for Julia MULLIGAN. But it would be unfair to close this report on a negative note. 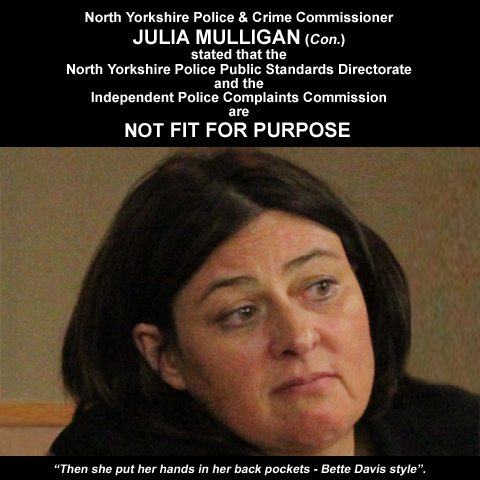 Julia MULLIGAN has not deemed the Police & Crime Commissioners “NOT FIT FOR PURPOSE”. “I think the common thread coming from many of the people whom we have heard speak tonight about their concerns has been this: there is an underlying feeling that it is almost impossible to raise a complaint against any of the authorities because they close ranks in such a determined way that the man-in-the street, unless he is extraordinarily articulate and extraordinarily persistent, is in fact going to be stone-walled and palmed off. What I would like Julia to take away with her tonight is the idea that there are members of the public who can articulate themselves and will help other members of the public to raise their problems.
. . . for which I was roundly applauded. I am glad of that, because I really could not have been any more reasonable.